Sebastian Cord is an agent for the Orion Foundation. 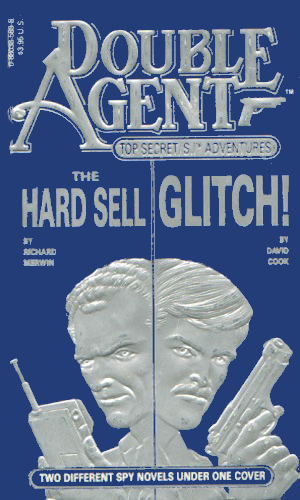 In the late 80's, TSR, a major paper-and-pencil role playing company which also owned a publishing business, added three spy series to complement one of their popular games, Top Secret. The first was a return to the pulp era with Agent 13. 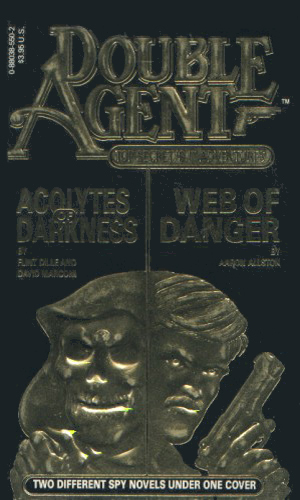 The second was an organization known as Agents of Fortune. The third was Sebastian Cord. 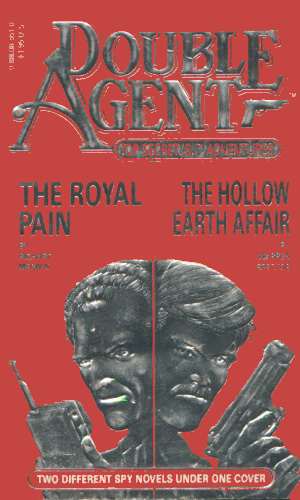 All these were published by TSR in a series of double novel books in a Double Agent covername. The Orion Foundation, employer of Sebastian Cord, exists only to fight the criminal organization known as Web. The basis of Web is that there is a gigantic, world-wide crime cartel with numerous branches involved in virtually every form of illegal activity imaginable. It is so extensive that many law enforcement agencies believe it to be actually several different groups but the truth remains that it is all one. Because it is so expansive and far-reaching, no one law enforcement agency could adequately fight it and so it flourished. In almost desperation, survivors of battles with the Web have banded together in an extra-legal organization which operates solely to fight back. While the members of this group obey local laws whenever possible, they don't turn away from doing what they have to in completing their missions. One of the mobile groups working for Orion is the M-Squad, headed by Sebastian Cord. He is described as a big teddy bear with sharp green eyes with slight epicanthic folds and a large hawk-like nose. He would have been considered handsome except for a large mole on his left cheek. His black hair, beard and mustache, are all neatly groomed. He has been an agent for Orion for almost two decades. The Web has figured out a way to commit the perfect financial robbery every time and is using it to plunge the free world into economic chaos. Sebastian Cord must get hold of a key element of the plan and keep him alive long enough to learn how it is all being done. Ordered to protect a Web defector, Sebastian Cord is dismayed to see the man apparently abducted by a flying saucer. Since no one believes him, he is put on suspension for several months before addition sightings prove he wasn't crazy. Still to be determined, however, is what the objects are and where did they come from. There is no explanation for the large numbers of strange accidents happening all over the world in American military bases. The brass is at a total loss as to how to proceed but Orion knows the best bet is to send in Sebastian Cord who is certain that the Web is behind it all. It might be hard to believe that stories created largely to help sell a game could be any good but these are not bad at all. This is even more remarkable since they are all written by different people. The usual failings of a multi-writer series exist, of course. There is no real character development and not much digging into the background other than pat bullet points. Still, the writing is good, clean, swift, and fun. A steady diet is not recommended but one at a time isn't too bad for you.